Counting down the days to April 28-29th? So are we! The biggest live CSL experience is preparing to invade Huntington Beach at Ultimate Media Ventures* with tournaments, panels, music, food, and more! 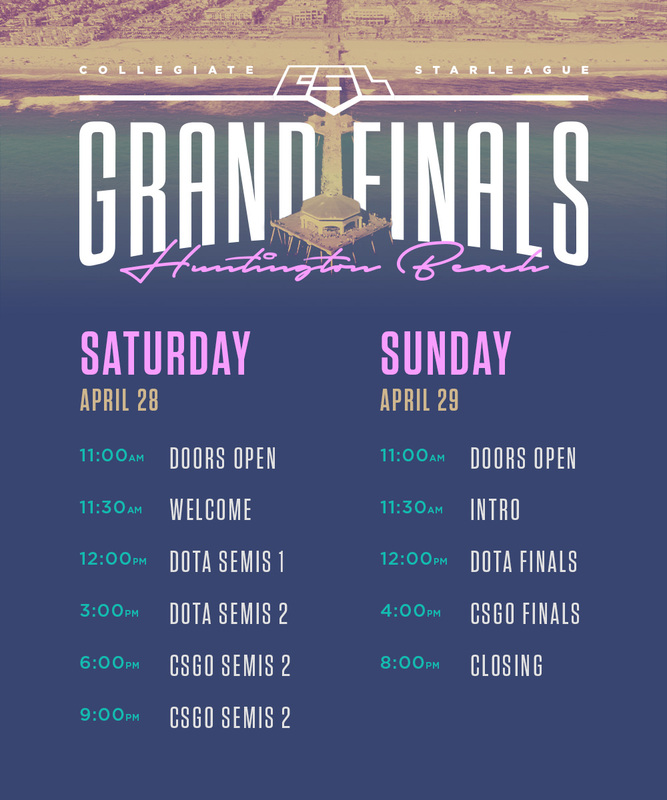 To get you ready for the tournament side of Grand Finals, we’ve prepared a handy schedule for you to follow in advance. Bookmark this page and keep coming back for more updates! We will announce the lineups for panels, meet and greets, as well as our LAN center, music and afterparty information soon! Keep following @cstarleague for announcements as they drop, and send us feedback on what you’re most excited for.